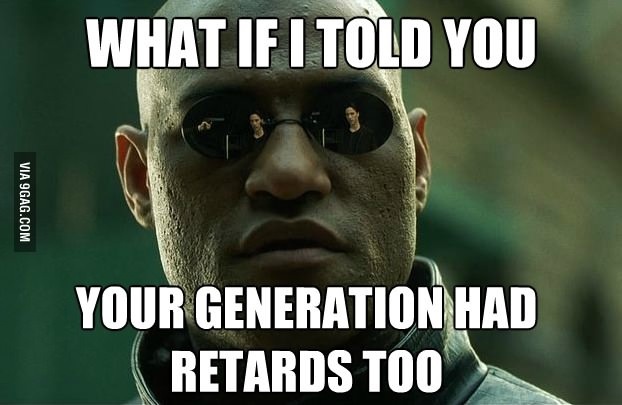 I was surfing the web and found yet another post by some ‘genius’ who claims that people below 40 can’t fix anything and just consume. Considering I am 34 right now I must be one of those people who can’t fix anything. So I guess the tooth fairy must have come and fixed all the stuff I have repaired over the years and the same must be true for things that my friends fixed (or permanently broke in some cases), or created or improved on. Every few years a post or an article will come out stating something to the effect of “Woe is me, the kids nowadays don’t know anything. They refuse to learn and just want to play on ‘gadget x’ and not listen to their elders (me)”. Here’s a quote that most of these folks will agree with “The children now love luxury. They have bad manners, contempt for authority; they show disrespect for elders and love chatter in place of exercise.”. Can you guess who made this quote? It was made by Socrates in Greece. Yes, that Socrates. Every generation thinks that the next generation is useless, they don’t do enough, they have it easy whereas the previous generation had so many hardships that they barely had any fun. One of easiest ways to put down someone is to make such baseless statements that ‘kids nowadays don’t fix anything’. Guess what, plenty of them do fix stuff, or build new things. If that wasn’t the case then all new inventions will have stopped in another 30-40 years because anyone capable of making new stuff would have died by then. Just because they don’t fix stuff/or work on things the same way you did doesn’t mean that they don’t know what they are doing. If you still think that is the case, visit the nearest hackerspace or checkout sites like hackaday.com. There are plenty of folks out there who are pushing the limits of both hardware and software. For example this virtual machine in Excel was created by a highschool student. If folks weren’t out there pushing the limits then event’s like Hacking for Kids, rootz etc would not exist and companies selling electronics/hacking tools for kids would go out of business. Keep in mind that not everyone has the same aptitude, take my dad and my mom for example. Dad loves to take things apart and fix them while mom prefers to write articles and read. The same is true for my nephews/nieces as well, some of them are technically inclined and others are not. It is human nature. Think of how boring it would be if everyone was interested in the same thing. Please do me a favor, stop publishing this nonsense, all you are doing is telling people that you are an idiot (I wanted to use a much stronger word but…) who is stuck in their ways and is scared of the next generation so goes out of their way to put them down. I am going to close this post with two words for these folks “Grow up…”.